If you were asked to name 5 or 10 skills any entrepreneur needs to build, would writing be among them? Probably not (or at least it won’t come to your mind first). But today through this post I am going to give you reasons that why Entrepreneurs should write regularly. Sure, it’s impossible to succeed in business if all you can do well is write. The entrepreneurs need to know how to sell, how to manage finances, how to set realistic deadlines, how to communicate with their audience, and so on. Why should one write if they don’t own a writing business, some might ask? Because even if you don’t need to write to make a living, this still doesn’t mean that writing cannot help you become better in business – and in life in general. Curious to find out more? Then continue reading. Writing helps you analyze your thoughts better. We all have so many thoughts running through our heads every moment of our life. For some of us, it’s easier to sort through these thoughts, identifying the good ones and discarding the bad ones mercilessly. For some of us, it is also easier to deliver the thoughts they want to share with the world. For some, however, it’s not that easy. Many people tend to be overwhelmed with thoughts, especially in stressful situations. Many people struggle with presenting their thoughts the way they want to, both on paper and during meetings. Many people find it hard to support their thoughts with strong arguments. Writing could help with that. It allows you to write down everything that bothers you and to carefully sort through this information, finding something worthy. Some people even try free writing because it helps them to come up with some unexpected yet wonderful ideas. But even if freewriting is not your thing, you could still benefit from the process. Regular writing helps you formulate your thoughts on a paper better (which leads to formulating thoughts easier in real life as well). It also allows you to get everything out of your head and to focus on the thing that actually matters. Try this out: think of a problem you would want to solve. Then start writing about it. First, describe your goal, then draft some possible solutions and try to describe each one of them in details. Most likely, you’ll be able to spot flaws in some solutions and eventually pick the one that seems the strongest. Also, most likely it would take less time than if you were just thinking about it. That’s because our mind tends to distract a lot. Writing gives it the focus needed to solve the problem. Some small business owners need to do literally everything for their business during the first months after they start it – and that includes writing letters to clients, crafting social media posts, etc. But even if you have someone responsible for the content creation, you still need to write from time to time. Moreover, it’s important you do it well instead of simply doing it. And even if you aren’t the one to pay attention to someone else’s grammar and writing skills, this doesn’t mean your clients, your potential business partners, and the people who you ask to promote your business are the same. Some of them spot flaws easier, some of them don’t notice them at all. Either way, there’s always a chance that a poor writing would turn a potential client or partner away. Would you want it? We don’t think so. You might not have been good at custom writing during your school and college years, but this doesn’t mean this cannot be changed. In fact, even if your writing skills were good, they could worsen a bit if you don’t practice often. And if you do practice, they will improve even if you weren’t the best writer at first. So if you want to look good and professional, you simply need to improve your writing skills. But while proper business communication is without a doubt important, that’s definitely not the only thing that matters. Being an entrepreneur, you probably want to build a reputation – and a good one, most likely. One of the easiest ways to do so is by starting a professional blog or by writing guest posts for industry-related websites (or both). Doing so could also increase the loyalty of your clients as well as drive more traffic to your company’s website. Of course, if you want to succeed in that, you’ll need to practice a lot and to approach this as seriously as you can. One of the most amazing (and terrifying) things about public writing is that your audience is actually limitless. Anyone could come to read and comment your content, so you’d better do your best to make it as good and useful as possible. Writing helps you feel better. Being an entrepreneur is a stressful thing, without a doubt. You need to make so many important decisions and solve so many problems on a daily basis. Moreover, you’ll need to remain calm and collected while doing in order to do all that is needed effectively. There are plenty of studies that support the theory that writing does help to ease stress and trauma – for example, this one published by Harvard Medical School. And it’s understandable why this happens: you get things out of your head, you write about something that bothers you, you find the solutions to certain problems, and so on. Many of us have too many negative thoughts – and many of those people keep these thoughts in their heads instead of letting them out. In some cases the negativity tends to build, leading to depression and to increased anxiety. Writing could help fight that. But writing is not only about letting the negativity out – it’s also about recognizing your success. If you write a success journal daily or if you simply write a journal that describes your life (and your business), you are able to re-read it and to remember how many challenges you’ve managed to successfully overcome. This actually boosts confidence a lot. 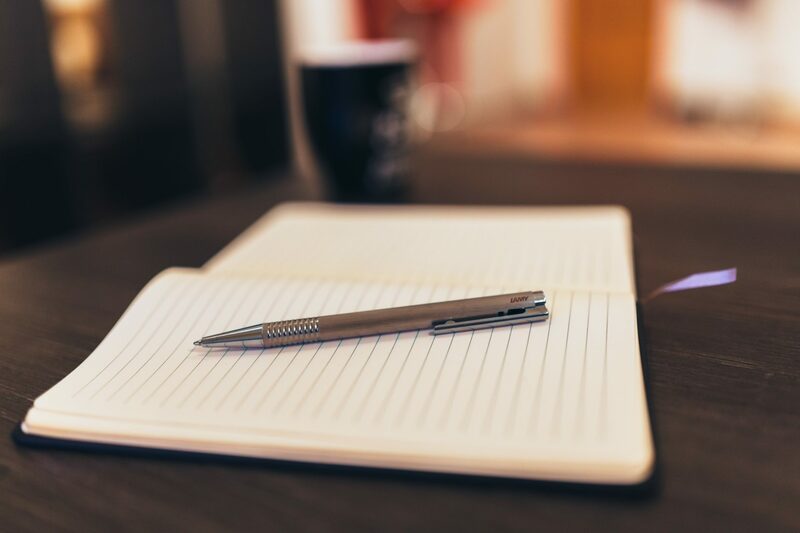 Moreover, writing a journal also helps you spot negative and positive patterns in your life, making it easier for you to change or improve them. Starting writing could definitely be a real challenge to many – especially to entrepreneurs, who seem to be busy all the time. But just like it’s important for entrepreneurs to find time for their friends and family, it’s also important for them to find time for themselves. Writing is something you do for yourself – to explore your mind, to understand yourself better, to de-stress. And it is also something that could benefit you in your professional life as well. Doesn’t it sound great? Do you practice daily writing (or writing in general)? Do you think that it’s important for an entrepreneur to develop their writing skills? Or maybe you think this isn’t worth the time? In any case, we encourage you to share your thoughts and your personal stories in the comments below! We will gladly read them! How To Reset Windows Password With Ubuntu? Jake Lester is an experienced essay writer that is fond of sharing his mind about various spheres of life. The most recurring themes he covers are education, writing, and marketing. He has his own writing style and this is why he is appreciated by readers. You may look through Facebook, Twitter & Google+. Hello Ryan, glad you liked it!! One of best article to gained lot of knowledge and all these three tips are beneficial to me. I think this article was created for beginners like me. It has lot useful tips to use. Thanks a lot, Jake Lester for a constructive guide. “Writing” is one of the best ways to describe our thoughts and emotions. Being entrepreneur, I must suggest everyone to write anything in a day. It keeps you alive, active and fresh at the end of the day. Your article surely helps a lot of people. Thanks for sharing. good Post very useful article very one has to read this. I really love your post, thanks for sharing this and looking forward to seeing more from you. It’s been very long as i m reading your post and form post by post its just feel very good to have such informative content.Keep the good work going and share some more related post.